Now when we load Welcome.csp, we should see our new button. Let's click it to Create a new Widget. 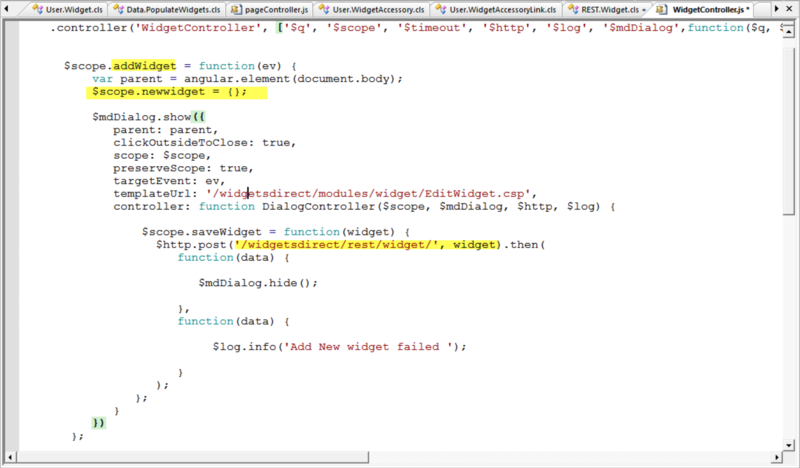 The PageController needs to have the $mdDialog service marked as a Dependancy, and injected into the Controller. Let's add that it and see if it makes a difference. Once we refresh Welcome.csp, we should see our new Widget displayed in the list. Success!